Convenient fueling is available on site at the TOTAL fuel depot. Unleaded, Diesel and Premix fuel are sold at the government regulated prices. 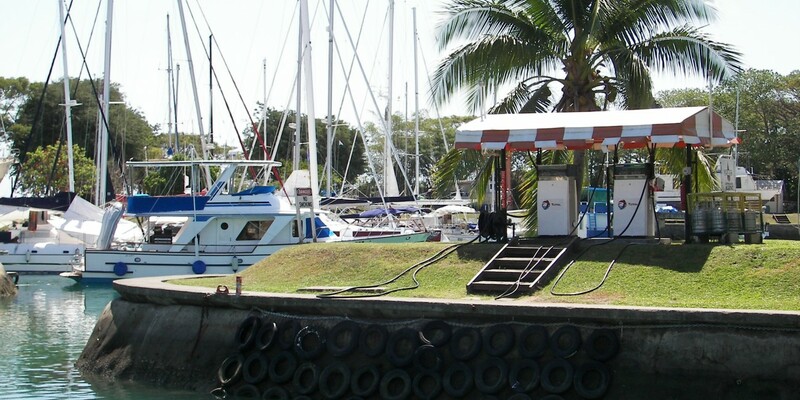 Freshwater is also available from the fuel depot to top up your tanks while you wait. Each dock around the basin also has a shared freshwater tap. All water at Vuda Marina is potable.